dx: Hi Iwona, Would you like to introduce yourself in a few lines? As one of the most successful children photographers across the globe, what originally motivated you into the beginning of your magnificent photography life? Iwona: My name is Iwona Podlasińska I‘m a mother of two boys and an architect. I live in Kielce Poland. I was interested in taking photos since I was a child but for all the time I didn‘t have a subject to phonograph. When my kids were little I discovered how taking photos of them made me happy and begun learning photography and editing. It was in the begging of 2014. Right now I still think of it as a hobby. I take photos of my boys and nieces mostly. I don‘t take clients. My work is based on my own vision of a happy and magical childhood. I take inspiration from animated movies and children storybooks and from life itself- as I watch my kids and the world around me. My images are something between reality and dreams-sometimes those are the scenes just taken as they were sometimes I push those more to the dreamlike style. I believe that this is just like childhood then what was real mixed with what was imagined. dx: What is/are the key（s） of the children photography in your PoV? Iwona: For me photographing kids is nothing like portrait photography. In portrait photography you need an idea outfits clothes locations you ask a model to pose and take photos. Photographing kids is more like wildlife photography- which requires knowing the subject well patience and waiting for the right moment. I love those sublime poses that can only be caught live they can‘t be forced on kids that delicate touch of a hand or a honest expression showing amazement. It‘s not the location and it‘s not the props but the pose that evokes feelings and tells a story. I‘m always ready to capture the one moment in time when their pose that will tell it‘s all. dx: What are your favourite 3 photos done so far? Why are they special? First of all because it‘s my most successful shot. To be honest I‘m afraid I won‘t be able to repeat that success. This was taken in Kraków. We went there to visit my brother and his family. We went to the market square because my brother was running in a charity business run and we went to cheer him. When we got to the market square it was crowdy and it was beginning to rain. A man standing there handed me a bag full of seeds and run hiding from the rain. I was giving seeds to my son and taking photos of him with my Sony A7 and a manual Samyang 85mm 1.4. I think I was very lucky to capture it all at once- the rain the pigeon flying up in the air and my son‘s perfect calm pose. That is a shot that is not easy to repeat even for me （as the the person who took it）. This is my second choice. My older son on a swing. I took it with the same lens as the previous one but on a crop sensor camera Sony A77. I was sitting in a sandbox watching my husband swinging my son on the swing. It was very difficult to capture that moment with a manual lens. I love this because this is the ultimate moment- the moment when he wasn‘t touching the seat the moment of no gravity. For this moment when I look at it I have to hold my breath like I was there instead of him. That reminds me of my childhood and from all the messages I received regarding that image I know that it also speaks to the hearts of many people. This is one of my recent favorites. It was taken quite spontaneously although I had it in my mind for some time. But I never asked kids to actually pose with those torches I just caught a real life scene. I love the feeling of them sharing some secrets or planning future adventures together. I got a lot of messages from people saying that they remember themselves playing like that with their siblings and that it moved their hearts. dx: Which photographer has had the greatest influence on your photography history? Who is your favorite photographer? Iwona: Another very difficult questions. When I started taking photos I used to take a lot inspiration from other photographers but never really paying attention to the names. So right now I can‘t even tell who inspired me then. I was paying attention to the photos not the names. And even right now I don‘t thing there is one person that I can call my favorite photographer. dx: What do you know about China? How much do you know about Chinese photography? Iwona: China is a fascinating and really undiscovered place for me. I have never visited China but it‘s a dream that may some day come true. I know only a few photographers from China that I came across on Flickr. But I wish I knew more about it and hope that we‘ll get closer one day. Right now I‘m in touch with Shangtuf exhibition organizers and I‘m talking about having my images showcased there. It would be a wonderful opportunity to show my work to a new public. 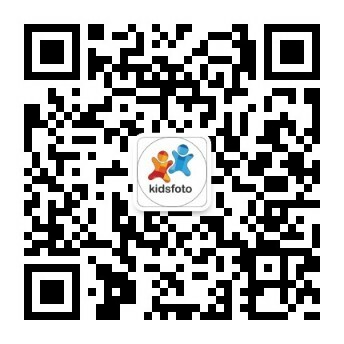 dx: At the moment hundreds of millions of Chinese parents are on the way of improving their skills in photographing their beloved children. What are your recommendations? What are the words you would like to share with them? Iwona: I could just tell you how I learned. First I read a few books and my camera manual. Knowing your gear- whatever it is is essential. Then I used to look for photos I liked and I would analyze it thoroughly- the composition lighting gear used etc. And I used to take as many photos as I could just to learn. I was trying different angles different kinds of lighting and then I could understand what I can and what I can‘t do in my camera. Editing was secondary and I still think that some people overestimate the power of it. Most of the times a great photo is a great photos taken in camera- editing just helps it pop- not makes it awesome. So to keep it short- watch analyze experiment with your camera and take many photos trying to get the style you desire. dx: What is your recommendation on choosing gears? Iwona: If you want to take photos of your kids in a style similar to mine you would need a camera and a nice portrait lens like 85mm or 135mm that will give you that nice separation between the subject and the background. I also have a 50mm lens for shooting indoors. And I think that a camera with two lenses- one for indoor shooting and one for outdoor is enough. dx: What is your routine of lighting setup/preparation? Do you usually use assistants? Any flash or reflector? Iwona: I don‘t set the scenes or prepare lighting or anything like that. I just play with my kids and keep my camera ready. The only assistant I ask for help is my mom. Especially when we are outdoors and I want to take a few steps back to have a larger view- she keeps an eye on the boys. I use natural light without any flash or reflectors. As I said before I‘m interested in capturing natural poses and one in a time moments. Therefore I can‘t spoil the scene using flash that would disturb kids and make them realize they have the photos taken. Also as you can see there are so many different photos in my stream. Each one is different so there is no routine I follow. Some are very spontaneous some are planned regarding the props used or the place- but I never force the kids to pose some way- I know my kids- they wouldn‘t listen. The only thing I can do is watch them and try to capture the best moment. dx: What is your secret to your post-editing what makes the difference? Why do your pictures always look so dreamy and gentle and special? Iwona: My post editing is （I think） simpler then people assume. I edit my photos in Lightroom mostly sometimes incorporate Photoshop if I want to remove something or combine photos together. I think editing is like make-up to woman‘s face- it can cover some things or can emphasize what‘s already beautiful but can‘t turn an ugly face into a beautiful one. The same with editing- a good photo is a base- there are a lot of thing that can be done but you can‘t change the pose or the expression of a face. Then I set a plan of editing- emphasize what‘s nice about the photo and get rid of distractions. My basic workflow consists of playing with exposure （lightening and darkening） playing with temperature and color （to emphasize mood） playing with contrast and clarity （ to make the subject more 3 dimensional） and sharpening at the end. From time to time when I have an idea for a more complicated edit- like a composite- I also do that but only when my idea is worthy all the time spent in front of my computer. As I said before- I do those photos in my spare time and as you know- nobody has enough spare time. dx: What is your plan for the following months? Do you have a workshop schedule or any online products available? Are you interested in having workshop sessions in China? Iwona: In the begging of 2016 I started getting a lot of attention in Poland and around the world and got a lot of invitations to run workshops or speak at conferences. I run a workshop once a month- that‘s my limit as I‘m a mother of two boys and spending time with them is the most important thing in the world for me. In November I‘m visiting Brasil to run a workshop there. And I‘m in a moment of setting my calendar for next year. This is a great opportunity for me to see the world and meet new people and I‘m extremely happy if I can take my kids with me like this year when I went to run workshops in Ireland and Scotland. If I ever have a chance to go to China I will probably take it but time will show.